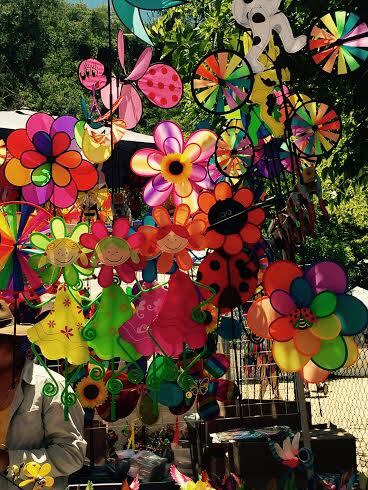 mixedbag July 27, 2015 June 26, 2016 6 Comments on The World’s Smelliest Festival! Finally finally, in all my years in the U.S., I went to a state fair this weekend! One dedicated to my favorite vampire repellent. Garlic! 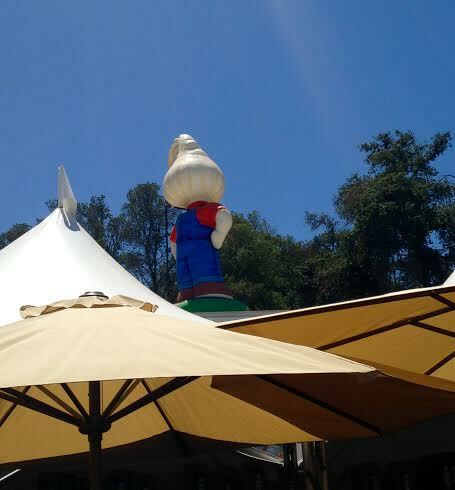 An amazing food festival where garlic is the star! Notice I said smelliest, not the stinkiest. And trust me, the smell is super-appetizing. So you ready? I hope you brought your breath mints along! 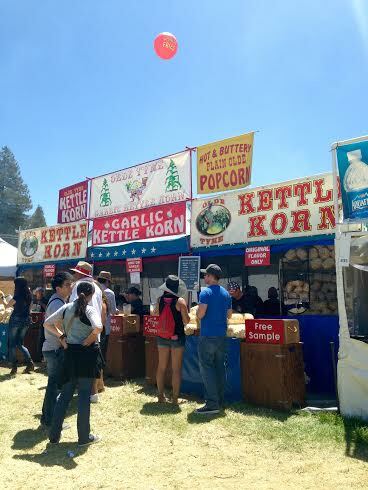 We’re headed to Gilroy, California, where every year, a three day garlic extravaganza is held. Gilroy is about an hour’s drive from our place. You don’t need directions, you can smell this place long before you reach. I’m kidding, you will need gps 🙂 There’s something for everyone, lots of yummy food, live bands, kids play areas (that’s where we were most of the time) and arts and crafts. 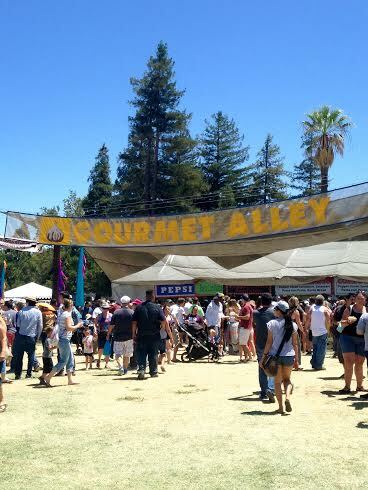 The main attractions for me were the food (of course) and the ‘Gourmet Alley’. 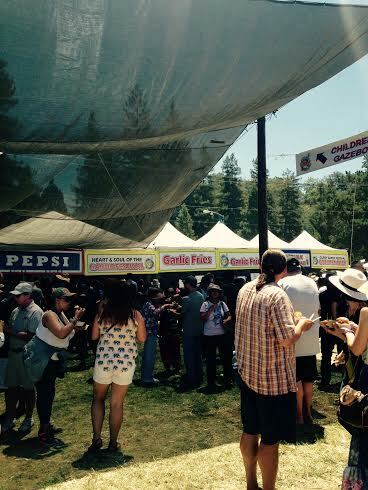 It’s a huge stage where professional chefs compete in garlic cook-offs. 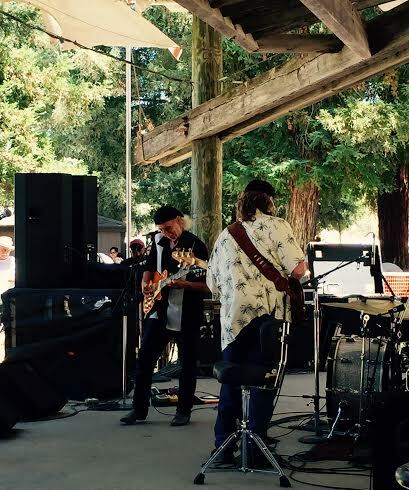 What a pleasure it is to see these masters in action! So we started with garlic bread, garlic fries, garlic stuffed mushrooms, spaghetti with garlicky pesto and garlic kettle corn. I’m vegetarian but my friends who are not, enjoyed the fried calamari and garlic shrimp. There were chefs throwing huge hunks of meat rubbed with garlic and spices onto the barbeque. I didn’t take any photos of the food because om nom nom nom, too busy eating. There was cold garlic beer to wash down all that food. Garlic honey (didn’t try that), pistachio butter (yum!) and gourmet olive oils. 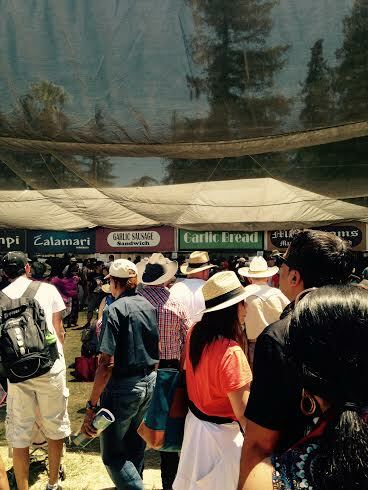 The longest line was for the….wait for it…… free garlic ice cream!. It tastes like regular vanilla ice cream and when you least expect it, Bam! the garlic hits you. I liked it but I prefer my regular non-garlicky ice cream 🙂 I’m a purist when it comes to ice cream. We spent a lot of time in the children’s section with my toddler. M had all her favorite things – sand pits and joy rides. It was a lot of fun although it was a very very hot day. “You could fry an egg on the street’ kind of hot. If you do plan to visit next year, dress very very casually in your most breathable clothes. Garlic and hot days do not a pleasure make! Wear comfortable shoes. This is not the place for your Jimmy Choo and Manolos, although I did see a few poor ladies suffering on their 4-inch heels. You will have to walk a lot! A wide brimmed hat and copious amounts of sunscreen and you’re set. » Summer has come and passed! This is unique! What a concept! Yeah I'm so glad I could make it this year. 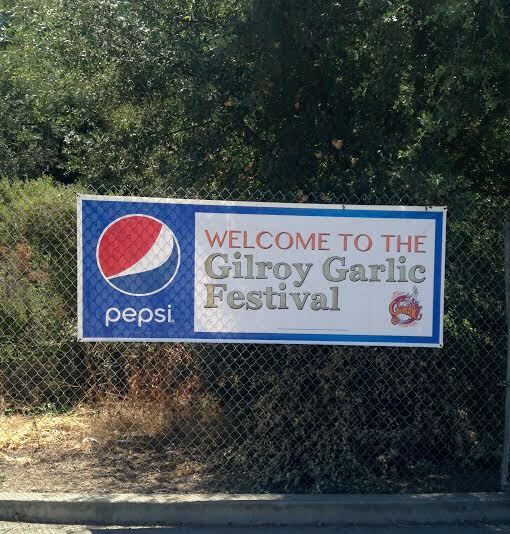 Gilroy is called the 'Garlic capital of the world', no wonder, right? This is definitely something new. The food sounds quite fascinating and distinctly appetizing. But I wonder what a garlic ice-cream could possibly taste like. 🙂 Great read! Thank you, Subhodeep! Garlic icecream was..well, garlicky 🙂 Not my favourite but worth a try! And thank you for popping by!